The greatest rewards dont come from winning the game it comes from playing the game. Archie Manning takes this lesson along with countless others to inspire audiences to achieve greatest in their journey for personal and professional success. As a 14-year veteran quarterback and the father of two Super Bowl champion quarterbacks, Peyton and Eli, Archie Manning knows the importance of instilling and living by four principles for success: leadership, depending on others, being flexible, and playing the game. Manning is ready to coach you and your team to victory with this fail-proof game plan. As a former NFL QB and multi-award winner on and off the field, he drives home the significance of how great leadership and teamwork can bring success. With his two Super Bowl-winning sons, Eli and Payton, he provides the importance of legacy and striving to be the best. As a humanitarian, he encourages an audience to be active in the community and make a difference. When people think of Archie Manning, they think football. But Archie’s appeal transcends his athletic achievements. People far and wide have been inspired by his warm personality, his drive and sense of humor. He was selected Father of the Year by the National Father’s Day Council. He currently serves in public relations and consulting capacities for several local, regional and national companies, including Gatorade and Direct TV. 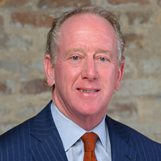 For 25 years he hosted four Archie Manning Cystic Fibrosis benefit golf tournaments in Louisiana and Mississippi and is active in a wide variety of charitable and civic causes. In 1971, Archie was the second player chosen in the NFL draft – the number one draft choice of the New Orleans Saints. He set Saints passing records, played in two Pro Bowls and was named the NFC Most Valuable Player in 1978. He was the first player in Saints history to be inducted into the Louisiana Superdome Wall of Fame and was in the first class of the Saints Ring of Honor. He concluded his 15-year career in 1985. He was also drafted four times by major league baseball. While in pro football, he received the Byron “Whizzer” White Humanitarian Award, the Bart Starr Humanitarian Award, the Spirit of Good Sports Award from the National Sportscasters and Sportswriters Association and the U.S. Jaycees named him one of 10 Outstanding Young Americans. In 2005 Archie received the Legends award from the Davey O’Brien Foundation and the Aspire award, a tribute to life’s coaches, from the Cal Ripken Foundation. Archie was honored by the United States Sports Academy with the 2006 Distinguished Service Award. Also, he received the Silver Buffalo, the Boy Scouts of America’s highest award. Archie received the Reds Bagnell Award from the Maxwell Football Club, he was the 51st winner of the Bert Bell Award, and was honored at the Super Bowl in New Orleans with the Pat Summerall Award. Archie and his wife Olivia were recipients of the National Pathfinder Award for their work in post-Hurricane Katrina. His community activities include Louisiana Special Olympics, the New Orleans Area Boy Scout Council, the Salvation Army, United Way Speakers Bureau, Allstate Sugar Bowl Committee and the New Orleans Sports Foundation and is Chairman of the Board of the National Football Foundation. Cooper is a partner with Howard Weil, an energy investment banking firm in New Orleans. Peyton is a former All-American at Tennessee and was the first player chosen in the 1998 NFL Draft. He has been selected as the MVP of the National Football League five times. He has been selected to the Pro Bowl 14 times. In 2006 he won the Walter Payton award as the “NFL Man of the Year”. He led the Colts to Super Bowl XLI championship and was named MVP of the game. In the past three seasons, he has quarterbacked the Denver Broncos to 40 wins, three Western Division titles and an AFC Championship. In 2013 he set all-time NFL records in yardage and touchdown passes (55). Also, in 2014 he surpassed Brett Favre to become the all time leader in career touchdown passes. Eli was also an All-American at Ole Miss and was the first player chosen in the 2004 NFL draft. Eli has been selected to three Pro Bowls and led the Giants to world championships in Super Bowl XLII (42) and XLVI (46) and was named MVP of both games. Archie and Peyton wrote a book entitled “Manning: A Father, His Sons and A Football Legacy”. Peyton and Eli also wrote a children’s book entitled “Family Huddle”. Archie and his boys have operated the Manning Passing Academy, a summer camp for high school quarterbacks and receivers, for 19 years. Archie is an owner of Manning’s, a sports-themed restaurant on Fulton Street in New Orleans. In honor of the Mannings’ college football accomplishments, the Sugar Bowl has created the Manning Award to go to the nation’s best college quarterback. The Manning family was named the second most inspiring family in America by Town & Country Magazine in its June 2013 issue. They were featured in a highly rated documentary on ESPN entitled “The Book of Manning”. "Great talk that should be shared across our country. Very entertaining and uplifting. Spent time talking with and taking pictures with numerous participants and employees. Very humble and giving." "Couldn't have been more happy. Thanks so much!" ￼￼"Archie is one of the most down to earth speakers and is just great to listen to."